Rose, says the Doctor, is fantastic. Absolutely fantastic. And he means it. Of all the people on Satellite 5 – even Lynda-with-a-Y – it’s Rose the Doctor saves, sending her away back home in the TARDIS. Later, it’s just Rose he himself leaves with, abandoning Captain Jack. "I only take the best," he says, dumping failed-companion Adam. Yeah, Rose is the best. She’s special. She’s different. So why does he need a companion with him? To find out, I talked to the writers who have written for the Doctor’s friends, and to the actors who played them. I want to know what makes the Doctor’s friends so special. I want to know how they continue to be important, to grow and develop, in their ongoing adventures in the Big Finish dramas. There’s an all-new 100-minute (at least!) audio Doctor Who play from Big Finish Productions every month, starring Doctors Five to Eight. And as well as giving the Doctor's old TV companions new things to do, Big Finish has also created brand new companions of its own. I want to know what’s changed for Big Finish since Doctor Who returned to our TV screens. How has Rose influenced what the Doctor’s old companions are up to these days? And how’ve they influenced her? 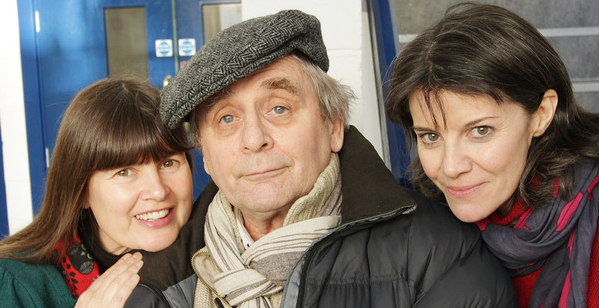 "I assumed, when I auditioned for the part of Ace," says actress Sophie Aldred, "that I would be running around quarries, twisting my ankle and screaming. But when I got the first script for Dragonfire I thought, 'Wow! This doesn't seem like Doctor Who – this is very different!'" Meet Ace. She’s different. First seen in 1987, Ace sulks! She carries a ghetto-blaster! She swears! (Really – she shouts things like 'Gordon Bennett!' and 'Bilge-bag!' at people.) She even beats up a Dalek with a baseball bat! What’s more, as she travelled with the seventh Doctor, we got to watch Ace grow up. Her character developed and changed, and we believed in her. So how was it done? Perhaps because Ian Briggs, who wrote Ace’s debut, based her on real people. "Yes," Sophie confirms. "These three girls who he'd worked with at a youth theatre in Ealing. The reaction I got to Ace from girls was relief. 'Oh hooray! Somebody real!'" "It's interesting," Sophie continues, "because Rose has got a similarly real background. We know a lot about the backstory. But that's quite a normal thing now because we've had years of EastEnders and gritty realism. In 1987, EastEnders was very new. So for me it was really quite a surprise. I was delighted to see so much of the action, and to receive this script in which, at one point, I had a monologue. Again, very unusual on telly at the time." I suggest that Rose can also be a strong character without all that shouting and kicking. "Rose is not really a tomboy whereas Ace definitely was," says Sophie. "Their backgrounds are similar, where they come from and their emotional backstory with similar traumas. But I don't know whether Rose would have worked in 1987." So, Rose and Ace are special because they’re ‘real’. I ask Paul Cornell, author of the recent episode Father’s Day, how you create a ‘real’ character. "The really difficult job," says Paul, "is to create people who aren't you, who don't think like you and act like you. I tend to cut-and-paste from people I know." So does he scribble down everything he overhears on the bus? "It's very rarely individual lines," says Paul. "It's usually a vague impression of people." On the DVD commentary for Father's Day, for example, Paul reveals that, "...it’s all about my dad. Pete Tyler is exactly like my dad. He did all that stuff, the health drinks.". But why does ‘reality’ matter? Later on in the same commentary, Paul asks Billie Piper and Shaun Dingwall what it takes to play the scene where Pete discovers that this teenager in front of him is really his baby daughter. "It’s quite a tricky scene to play," Shaun tells him, "because it’s not real. It’s so not real that you have to rely on your imagination to find some truth in it." Billie explains that she "listened to really sad songs for about a week" to prepare, but Shaun says, "For me, it was pretty much the words. The script." So, I ask Paul, where does his talent for making a situation ‘true’ – even when it’s so strange – come from? "In this particular case," he tells me, "one half of me being a hard-core fundamentalist geek who would like to present the most far-spun fantasy imaginable with little connection to the real world. Then there’s another half of me that wants to tell stories about people in the real world. Rather than doing those two things separately I always seem to do them both at once." And why does this approach work? Just before Rose aired last year, Gary Gillatt discussed Ace’s last TV story, Survival, in DWM. "Imagine," he said, "a series that adopts a familiar urban world as its backdrop, and uses visits to a crumbling council block – and the friends and family of the Doctor’s assistant – to allow its audience to understand more clearly the stakes the Doctor is playing for." Sound familiar? Grounding the companion in reality makes everything more real. Whatever weird alien stuff the Doctor shows her, if she’s real and she believes it, then so do we. Survival was, however, the last television Doctor Who story for more than six years, and when the Oaul McGann TV movie was broadcast in 1996, the Doctor was travelling alone. Still, there are different accounts of what happened to Ace. 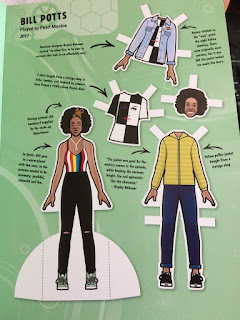 She died in the DWM comic strip. She left the Doctor to hunt Daleks in Virgin's New Adventures books. And in the webcast Death Comes To Time, she takes the Doctor’s place as guardian of time when he seemed to have blown himself up. What did Sophie make of what was being done to her? "I read a couple of the Virgin novels," she admits. "I was delighted it had a life beyond telly, but it didn't really seem to have much to do with me." Paul Cornell, however, was one of the most prolific New Adventures authors. "I think if there's one thing that my stories are about," says Paul, "it's the effect on people of quite extreme fantasy circumstances. Certainly way back in the New Adventures, mine were full of ordinary people encountering very, very weird stuff." I hazard that as well as showing a greater degree of character depth than the TV series had managed before, many of Paul’s novels also showed the consequences of travelling with the Doctor, companions who are changed by their experiences. "Absolutely," says Paul. "You cannot come back through the door and be the same person." So change is good. That goes doubly so in the case of Big Finish. "You’ve also got to make it interesting for the actors," says Gary Russell, producer of the audio adventures. "You have to offer them something new." Of course, there had been nods to stronger, more independent companions before. In the mid 1970s, Sarah Jane Smith paid lip service to something called ‘women’s lib’. Leela threw knives at people. Romana and Tegan were quite bossy. Yet for much of the show’s history, efforts to make any new companion different and/or real were short-lived. "The character traits they were given for their first four episodes very rarely got mentioned again," says Gary. "Nearly every one of the actors has at some point said, 'I was disappointed that when I started with the character it was meant to be A, B and C, but it very quickly ceased being that.'" So meet Evelyn. She’s different. The first companion Big Finish created for themselves, Dr Evelyn Smythe is older than any of the Doctor’s previous companions, the TARDIS just one more chapter in her life. And since she first appeared in 2000's The Marian Conspiracy, Big Finish have genuinely cared for her, developing her relationshiop with the Doctor in each story. Their friendship is really tested in Robert Shearman’s Jubilee (later adapted into the television episode Dalek), and they nearly part company after the events of Project: Lazarus. But the Doctor has always won her over (so far), perhaps most movingly in Jacqueline Rayner’s bold – and musical! – Doctor Who and the Pirates. At the recording of 2001’s Bloodtide, Colin Baker explained why Evelyn works so well. "She has us a more adult relationship," he said. "On television there was always the whinging Peri and – very briefly – the highly energetic Mel. But they were kind of the relationships of adult and child. It has been interesting for the Doctor to be faced with a companion who is, if not his equal in every single way, certainly his equal intellectually." "I had always wanted to bring in an older character," Gary tells me. "The part was created for Maggie Stables. Maggie, like Colin, is a super-intelligent person and they get on like a house on fire. Translating that to Evelyn and the Doctor was very easy." So how does Evelyn’s character break away from the generic companion role? "I can see that it gives problems to the writer," Colin went on. "It removes a device – which is I’m sure reason the Doctor has always had juvenile companions – so he can explain what he’s doing all the time." So in effect, Evelyn is too much of a real person to be just a peg for the plot.What’s more, we can judge the Doctor by the quality of his friends. A more out-going, intelligent companion makes him look more out-going and intelligent too. "I think she’s not too frightened of him," says Maggie herself. "She’s impressed by him, obviously, but she doesn’t feel too overshadowed." In some respects Evelyn could be seen as an older version of the first new companion created after the end of the TV series. Meet Professor Bernice Summerfield. Benny’s different, a hard-drinking, sassy archaeologist from the future, originally created as a replacement for Ace in the New Adventures by Paul Cornell. That man gets everywhere! "Benny is very close to my viewpoint character," says Paul. "So much so that I quite like the fact that so many voices have ruffled her up a bit since then." Benny proved highly successful, and spun off into her own range of novels long after leaving the Doctor behind. In 1997 Big Finish also released the first Benny audio adventures, starring Lisa Bowerman. The range is just starting its seventh series. "Lisa's voice infected me so fast," says Paul. "I find it very hard to think of Benny as anyone else now." I ask if Lisa's performance changed how he writes for ‘his’ character. "Very much so," he nods. "In particular you'll find her speech patterns have changed a bit, because in Lisa's performance a lot of what she does is in wonderful hesitation." "Once you’ve got the voice of a character," says Eddie Robson, who has also written for Benny, "everything does sort of follow. Doing Doctor Who prose you have the actors' voices for the Doctor and companions, but I mentally cast the other roles as well. That’s what I did for Benny, years ago when I was doing Benny fan-fiction. Even before Lisa was doing them. Fortunately they then cast a similar kind of voice!" Meet Charley Pollard. She’s different, and the most travelled of all Big Finish’s companions. In 25 full-length audios, as well as a DWM freebie, Charley’s come a long, long way from her first meeting with the dashing Eighth Doctor, aboard the doomed R101 airship. They’ve battled Romans in a mixed up past, seen Earth overrun by the Daleks, and even got lost in a whole other universe. "She’s quite easy to write," says Eddie, "because she wants to get out there and have adventures. It can be more difficult with some other characters to convincingly put them in situations that most of us would never go near, really. But Charley will go into the dangerous situation because she feels she’s got something to prove." So a bolshier companion actually makes it easier to jolly the story along. And Eddie’s technique seems to work. "Memory Lane!" enthuses India Fisher, who’s been playing Charley for the last six years. "I just read it and thought, 'Oh, that’s where she should be and what she should be like.'" I ask India which story she thinks has been best for her character. And since none of us have heard Memory Lane yet, she’ll just have to pick another one. "I always say Neverland," she says, "because I liked doing the anti-Charley thing. [In Alan Barnes' 2002 drama an evil simulacrum of Charley appeared, composed of 'Anti-Time'.] But it did push Charley forward as a character. You realise that she’s the reason that all this time-space continuum malarky isn’t working, and therefore there’s that whole kind of sacrifice thing.’ She’s referring to the ongoing story that the Doctor should never have rescued her from the R101. Because she’s still alive, history is all out of whack. But it’s not just the total collapse of time and space that appealed to India. "It pushed on her relationship with the Doctor more than any other, I think." Oh yes. Long before that snog in The Parting of the Ways, a companion told her Doctor she loved him. And in Scherzo, by Dalek writer Rob Shearman, Charley and the Doctor had to melt their bodies into one other. Which is a bit like snogging, isn’t it? So what’s Paul McGann like to kiss? "Would that I knew," smiles India. And how did people react? "It seemed everyone threw their hands up in the air and went, 'Ooh no! The Doctor and his companion can’t be in love!'" Meet C’rizz. He’s different. Really different. After a brief dalliance with a Vortisaur called Ramsay in the first series of the Eighth Doctor audios, a proper bona-fide alien has joined the TARDIS. The lizard-boy from a whole other universe is a chameleon in more ways than one. So what’s the real C’rizz like, then? "He’s quite proper, a bit of an Oxbridge twit who doesn’t tolerate being messed about. It gets quite funny in Other Lives, where he ends up in some rather undignified situations. Which he gets terribly shirty about!" The characters have proved hugely popular. "I’ve been stopped in the street," says India, "and at a music festival in a tent full of 50,000 people, someone said, 'Aren’t you India Fisher?' Of course my friends can’t understand how the hell anyone can know what I look like because it’s audio!" Conrad shakes his head. Is he jealous? "When the new series started I thought that would be it, but still lovely letters are turning up, people wanting to know what’s going to happen. Once I was understudying in Abigail’s Party. I was in my first week, barely knew my lines and there was this really weird moment when we were all leaving the theatre. There were these people wanting autographs at the stage door. I thought it was for the main cast but it wasn’t, it was for me. And the main cast were obviously going, 'What on earth?!'" And how much of a say do they get in the development of the characters? Do you get to suggest stuff you’d like to do? India considers. "Probably more so when we recorded in Bristol, in a big block of episodes," she says, "because it was just the nature of the game. We were all in a hotel together for the week and so in the pub in the evening Gary would ask..."
"'What do you want to do?'" says Conrad, in a voice that’s more Noel Coward than Gary Russell. "There was a classic one where C’rizz had first come in," laughs India. "I think you’d done two stories, it was the middle of your first series. And Gary asked, 'How about you two getting it together?' And we both just said –"
You read it here first. C’rizz doesn’t get married. Though maybe it’s a trick answer, and he’ll have a civil partnership. And when? Conrad? No, he’s disguised himself as the scenery and I’m not getting an answer. So just how far can you develop a character? Ace, for example, has now been in some 50-odd stories – TV episodes, novels, audios, short stories, comic strips... "Everyone has explored Ace inside out, upside down, back to front," says Sophie Aldred. "Gary's been trying for ages to age her up. Every now and again we'll record a scene and he'll say, 'Um, yes, very nice, but far too young.' But it's been difficult to get any of that across because I've felt slightly trapped, I suppose, in the same old relationship with the Doctor." It’s even more difficult when Big Finish wants to use other television companions, when we know how their characters finished up. Under the terms of the licence with BBC Worldwide, the audios must slot seamlessly between television stories. For example, Peri travels with the Fifth Doctor in stories set just before his regeneration in The Caves of Androzani. In that TV story, Peri’s still the naïve young brat she was in her debut, so the audios can’t develop her beyond that. Big Finish gets to play with the toys, but it has to return them to the box just as they were. Meet Erimem. She’s different. The Fifth Doctor and Peri are surprised they’ve never heard of Pharoah Erimemushinteperem when they meet her. There’s a reason for that – she leaves ancient Egypt for a life in the TARDIS. "She’s not to take away from Peri," says Gary, "but to add to her. Particularly as Erimem wasn’t created as a companion anyway. It gave us that ability to play around and just bolster those characters up a bit." Erimem was created for The Eye of the Scorpion by writer Iain McLaughlin, who also co-wrote this issue’s free CD. How has she changed since her debut? "Every writer brings something new to her," says Iain. "She's still strong and proud but I think she's a bit more relaxed than she was when she was Pharaoh. She's relaxing into a friendship with people she trusts." "She's been let down by people she trusted and loved," says his co-writer Claire Bartlett, "but she still trusts the Doctor and Peri." "Most of the time," adds Iain: "You haven't heard The Council of Nicea." He’s referring to Erimem’s fight with the Doctor during a key moment in the history for the early Christian church. The story is probably the highlight of Erimem’s travels so far. "Probably the biggest factor in Erimem's evolution," Iain continues, "is Caroline Morris. She's given subtlety and nuance to the dialogue she's been given so it's much easier to write knowing what she sounds like. She's terrific." "She’s definitely grown up a hell of a lot," says Caroline, in a break from recording this month’s The Kingmaker. "She’s still very young and she’s still developing, but she’s definitely gone from being a naïve warrior queen – if you could put those two words together – to more of a teenager, learning about life and people and aliens. The last couple of scripts I’ve done, the writers had definitely taken onboard the character and involved her, which has just been a joy for me." Sophie Aldred feels the same about Ace's current development in the audios - a world away from the 'nothing to do with me' Aces of the novels. "What's really taken Ace off in a new direction,’ enthuses Sophie, ‘and quite unexpectedly for me, is the relationship with Hex." Meet Hex. He’s different. Handsome male nurse Thomas Hector Schofield – played by former Brookside pin-up Phillip Olivier – joined the TARDIS crew in The Harvest. He’s since flown on a space-travelling Uluru (Ayer’s Rock to you) and brought down a government live on air. "Now he's come in," says Sophie, "it's much easier to play Ace older because she's guiding him. She's being like his older sister." "I think he’s a great character," says Phil, speaking at the recording of The Settling – written by yours truly. "He’s got the slight humour about him. He’s still learning at the moment and in the past couple of scripts we’re seeing a bit more of his character. A bit of a sarcastic side with the Doctor, getting along with Ace… And is there anything, any kind of chemistry between the two?" Ooh, a grin from Sophie. "That's brilliant," she says. "That was beginning to happen right from The Harvest." What was happening, exactly? Spell it out for us, woman! "Ace brings on a whole different aspect to Hex," she says. "The scenes that we've done of us just talking together have been so lovely to do." "And Phil's a really good actor too," Sophie continues. ‘We have a laugh doing it, but we're both quite good at doing the heavy stuff as well. There's much more depth to them because of what they're going through together." "Gary's taken me aside and very kindly told me where it's heading in the next year or so," Sophie teases. "It was very sweet of him to ask if it would be all right. I'm really excited about it." "It came to me when we were doing Project: Lazarus back ion 2003," says Gary. In that story, Evelyn’s friend Cassie mentions that she has a son. "I thought it would be good if the Seventh Doctor finally met Tommy," Gary continues. "And then I thought, 'Hang on, I’ve wanted to bring a new companion in for Sophie, and there’s your perfect opportunity. Hex is Tommy!'" "Hex has been in complete blissful ignorance," says Gary, "It’s never occurred to him. And the longer the Doctor keeps it quiet, the more of a corner he’s in. He should say to Hex, 'I need to tell you something about your background.' But he won’t, because this particular Doctor doesn’t do that sort of thing. And that’s going to come back and bite him at some point." "Also," says Gary struggling not to say too much, "we know that Ace has a bit of a short fuse with that sort of manipulation, and she may well be more on Hex’s side than the Doctor’s." New blood isn’t the only way to develop the old companions. 1980s assistants Nyssa, Mel and Turlough are still one-on-one with the Doctor, and it’s not doing them any harm. Mel, for example, is being given more to do than she ever had on the telly. "Colin Baker and Bonnie Langford," says Gary, "were both hideously under-rated as actors. It just needed the right scripts and the right push to show people what they were capable of." Meet old Mel. She makes the Sixth Doctor drink orange juice, knows how to work a computer, and… no, that’s about it. "I actually think Bonnie’s very good in the TV series," says Big Finish author Joseph Lidster, "a really nice, fun companion. But she’s not grounded in reality at all. All you know about her is she’s a computer programmer from Pease Pottage, from the 1980s. She’s not given a surname onscreen, you don’t even see her join the Doctor. She’s a plot device, not a person." Joe thinks Mel is the ultimate example of the companion as a means to an end, there solely to have the plot explained to them and to get in trouble (so the Doctor can rescue them). But meet the new Mel. She’s different. All that’s been needed to transform the character is for the situations she finds herself caught up in to have real consequences, for her travels to affect her. In her first Big Finish story, The Fires of Vulcan, Mel has to take charge when the Doctor goes to pieces. In The One Doctor, she’s up against a spoof Doctor Who companion, Sally-Anne, who plays up to all the worst stereotypes. The contrast shows how rounded a character Mel is. In The Juggernauts she spends three months believing the Doctor long gone, building a life for herself, using her computer skills, and even getting engaged. This is true of other 1980s companions, too. Meet Nyssa. She’s… well… How can we put it? "There’s almost nothing for an actor to play in that part on TV," says Paul Cornell. "There's some nice fairy-princess stuff in The Keeper of Traken, and [writer] Johnny Byrne gives her some stuff to do in Arc of Infinity, but you don't really learn much about her in doing it. There aren't any shades of grey there." Paul hopes to redress that in his forthcoming audio Circular Time – co-written with Mike Maddox. "We have her live in a small village while the Doctor plays cricket. It's four short stories. There's a historical, there's a weird one, there's a far future one and there's a kind of pastoral one. It's a very character-based set of stories. There's a nice little romance for her." So what has he done to bolster the character? "Giving Nyssa humour is, I think, the starting place," says Paul. "Making the relationship between her and the Doctor much more one-to-one so that you can believe in it. And giving them certain points of disagreement, a couple of flashpoints. There's a lot of threads that run through all four stories which put together form a greater story again in character terms." Also much anticipated is the return of Nyssa’s best friend. Janet Fielding, despite what’s she’s said to the contrary, is returning as bolshy ex-air hostess Tegan Jovanka. "It’s set in 2006, over 20 years after she left the Doctor," says Joe Lidster, who is busy writing the scripts. "Tegan may occasionally regret having left him, but it’s not ruined her life. She’s now a 40 year-old woman who’s lived life to the full. Just part of that included choosing to travel with the Doctor and save the universe a few times." Joe denies any kind of reinvention. Instead, he says, he’s building on the different facets we already know. "I think that’s what so good with Tegan: you see her in all these different situations. You see her as someone who doesn’t want to travel, and later you see her as someone who chooses to. You get to see her with two very different sorts of TARDIS team. The Fifth Doctor, Adric, Nyssa and Tegan, all four of them are effectively kids. With Turlough they all seem more grown up and it’s a darker series. In fact," he says, watching Gary’s reaction carefully as he spills some top secret beans, "she’s in a dark place in her life when we meet her in mine. And responding to that with black humour." And then there’s the return of another old friend. Just as it was that announced Sarah Jane Smith would be returning to Doctor Who on television, David Bishop was busy writing a spin-off audio series for her. "The theme of the new audios," David tells me, "is learning to cope with loss. It was something Elisabeth Sladen was keen to explore, specifically how Sarah has – and hasn't – come to terms with life after her time travelling in the TARDIS. Sarah saw and experienced things she can't share with anyone else, especially since she lost touch with fellow time traveller Harry Sullivan. As a character she's matured, found a place for herself in the world, but she's still grieving for the life and friends she's lost." Again, it’s about bringing something new to the character. "Lis wanted Sarah to move on from the paranoia of the first audio series," says David. "So these four new stories feature Sarah taking greater charge of her destiny instead of being manipulated by others." So there’s still lots to happen with the Doctor’s companions yet, plenty of space for them to grow and develop. They could just go on and on, couldn’t they? Well, not necessarily. That would be too easy. Evelyn, for example, is not merely the first of Big Finish’s creations. She’s also the first to have been written out of the range, in last year’s Thicker than Water. Then again, she’s also still travelling with the Doctor this year… Huh? "We know the end of her story," Gary explains. "But that’s not to say there aren’t a few more things that are going to help us get there. I made it very clear to Maggie and Colin this wasn’t the end of their adventures. It was the chronological end, but it wasn’t the production order end." Thicker than Water was a sequel to 2004’s Arrangements for War, in which Evelyn was wooed by a nice chap called Rossiter. "I thought it was fantastic," Gary enthuses. "It’s one of the best things we’ve ever done. And it seemed obvious that Evelyn should end up with Rossiter. She deserves that, doesn’t she?" So he’s not afraid to write his characters out, then? But would he ever kill a companion off? "Hmm... Maybe. Who did you have in mind?" I ask how the new series changed Sophie’s ideas about what she'd like Ace to do. "I can see so much of Ace in Rose," she says. "Not the character, because Rose is much more maturely emotional, much more gentle and sensitive in a humane way. She's older for a start. Ace was very young when she started. I liked that Rose learns. She's always been loyal to the Doctor and always backed him up. She's never really questioned him, even when he's been pretty manipulative of her. So just creeping in is this backlash, and I think that will be good." Is she saying that what Rose needs is a life of her own? "Yeah. She needs to leave the nest." It seems nothing lasts forever – which is, again, very Doctor Who. So would Sophie, I wonder, ever feel it was time to leave Ace behind her? "Certainly it's not something that I'd like to completely let go of yet," she says, after some thought. "I think what it will be is when I stop getting invited to conventions. But then [Sophie’s son] Adam is nearly six, so he'll start watching Doctor Who, and then he'll watch me!" So she’ll be doing it for his benefit? Sophie laughs, "I might be leaning on a walking stick or in a wheelchair." I suggest that that doesn’t matter – it’s on audio, and no one need be any the wiser. She likes that idea. "I'm quite happy to be thought of as young as possible," she laughs. "If it were up to me, I'd be eternally sixteen..."
"In The Christmas Invasion," says co-writer Iain McLaughlin, "Rose said 'Somebody's got to be the Doctor!' when the Doctor was out cold. Here there's no Doctor and his companions have problems to solve – but they do it their own way rather than try to be the Doctor themselves." "It should be a fun introduction for anyone who doesn't know them," says other author Claire Bartlett. How much fun? "You should be able to see Cary Grant – ask your parents – in the background. We wanted a very glam atmosphere." Spare Parts - The harrowing birth of the Cybermen makes great, emotive use of Nyssa’s intelligence and compassion. Loups Garoux - A love affair for Turlough, and an exploration of his darker side. Oh, and werewolves. Eye of the Scorpion - An action-packed role for Peri, and a rich, vivid atmosphere when the Doctor meets the ‘lost’ Pharaoh, Erimemushinteperem. The Holy Terror - The DWM award-winning debut of Dalek writer Rob Shearman. And the companion in this one’s a penguin! Project: Twilight - A gripping, grisly horror-fest set in present-day London, with Evelyn struggling to save poor Cassie from a sinister fate. Terror Firma - Charley and C’rizz must battle the combined horrors of Daleks, Davros, the Doctor’s dark past… and a rather drunken party.